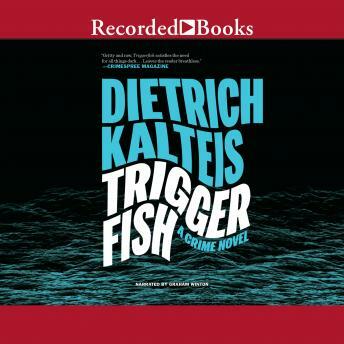 You know you're in deep water when you can't tell cop from criminal Rene Beckman is a dishonored ex-cop with only two things on his mind: his new boat, the Triggerfish, and his hot date, an environmentalist named Vicki. When the two unknowingly dock the boat in the same secluded cove as a Mexican cartel's drug submarine, the date ends with a bang. With the cartel's coke-for-guns deal with local bikers torched by Beckman, he's forced to go on the run with half the underworld chasing him through the streets of Vancouver and the waters surrounding it. While he tries to stay alive, a woman from Beckman's past - currently on the run from CSIS and the anti-terror squad - comes back to settle an old score. When the gangs start to go after his friends, the ex-cop stops running and turns the tables. With a ragtag crew of his own, Beckman faces the cartel and bikers head on. Fast, vicious, and thrilling, Triggerfish delivers a story where all the criminals are in conflict and no one is certain who will come out on top.